The Bathtub is made to your exterior and interior requirements. 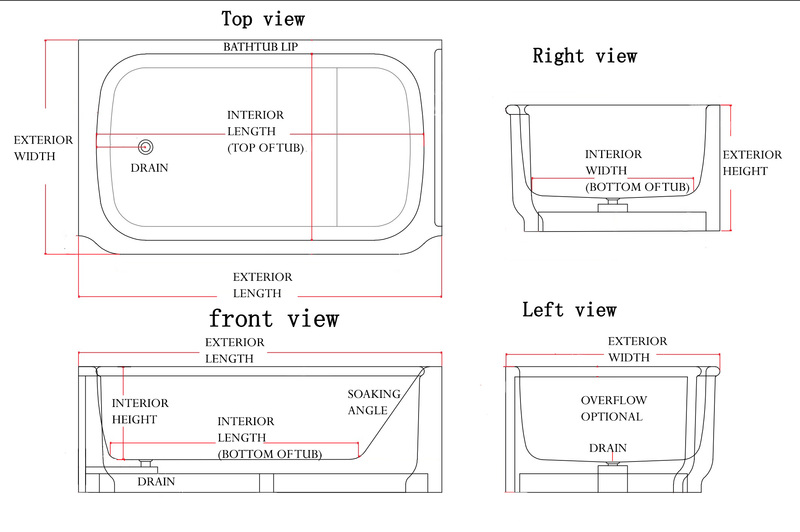 The exterior dimensions are important because they are the maximum dimensions of your tub. You should take into account doors opening and closing, nearby cabinets and walk space when you calculate the maximum exterior dimensions. The interior dimensions are the inside of the tub and are customizable to fit two people, a taller person and a soaking angle. 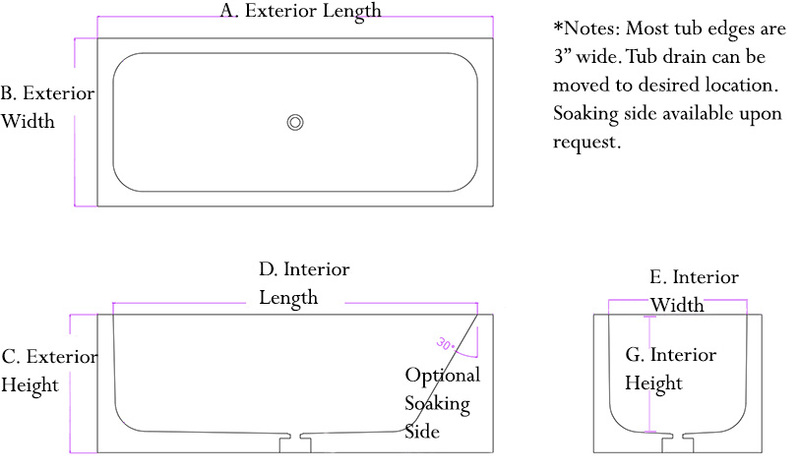 The drain location is customizable to fit the area where the faucet fixtures will be placed.